This week, Dr. William Lyday, the Director of Gastroenterology and Nutrition Services at Cancer Treatment Centers of America, will join The Weekly Check-Up to gastrointestinal and liver cancers. Dr. Lyday specializes in the treatment and management of gastrointestinal and liver cancers. He offers many non-surgical technologies to help determine the stage of disease and to provide therapies when surgery is not an option. While in private practice, Dr. Lyday developed programs aimed at understanding why cancers occur and how they could be treated more effectively. In 2013, the World Endoscopy Organization granted Dr. Lyday an award for his research on Barrett’s esophagus, a disorder in the lining of the esophagus. Dr. Lyday earned his Doctor of Medicine from the University of North Carolina in Chapel Hill, North Carolina, in 1995. His three-year residency in internal medicine was at Carolinas Medical Center in Charlotte, North Carolina, between 1995 and 1998. Dr. Lyday’s three-year fellowship in gastroenterology was at the University of Nebraska Medical Center in Omaha, Nebraska. He completed the fellowship in 2001. 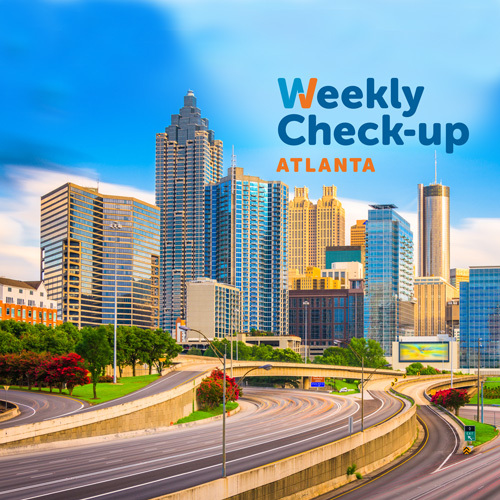 Dr. Lyday was an assistant clinical professor at Emory University School of Medicine in Atlanta from 2002 to 2003. In addition, Dr. Lyday was the keynote speaker for the National Weight Management Summit in Las Vegas in 2009. His presentation was titled, "Reversal of Chronic Disease through Multidisciplinary Weight Management Program." 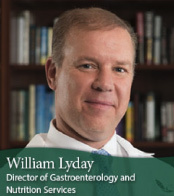 Dr. Lyday is a member of the American College of Gastroenterology, American Society of Gastrointestinal Endoscopy and American Board of Internal Medicine. Learn more about Dr. William Lyday at CancerCenter.com.